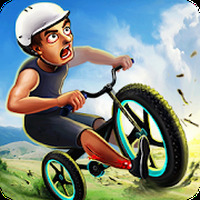 "1# fast-paced, rag-doll extreme sports game for Android"
Game Goal: Ride a ridiculously small bicycle to beat different obstacles in order to find a way to reach the goal as quickly as possible to move to the next level. 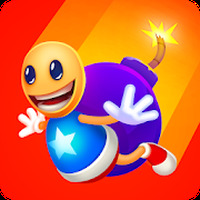 How to Play: You must carefully dodge and jump all obstacles, including mines or blades, in order to reach the finish line alive and overcome more than twenty different levels. Graphics: Designs are simple, but scenarios play out for funny animations and bicycle accidents. Controls: Game controls are operated via the touch screen: controls to move forward and backward are on the left side and there's a button to blow up the bike on the right. 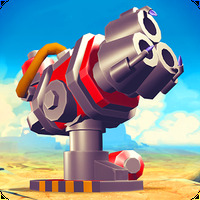 Developer: CanadaDroid is based in China	- Developer recommended by Google Play. Installation requirements: A minimum of 7,0M of free memory space and Android 2.1 or higher. Takes up very little space in memory. There are many challenges to beat. It's a fun version of a motorcycle and bicycle game. The graphics and controls aren't excellent. Do you like Crazy Wheels?